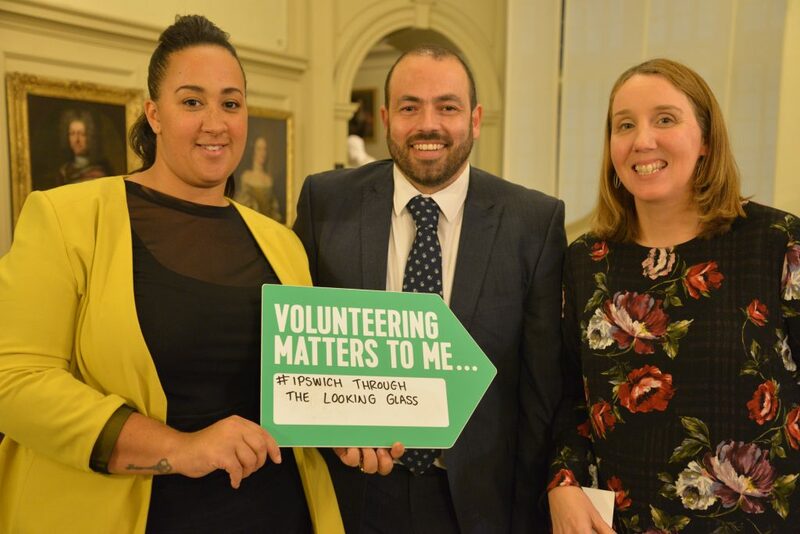 Volunteering Matters took over the beautiful Christchurch Mansion in Ipswich on 26th October, showcasing volunteering projects taking place across Suffolk. Built back in 1548, the building has most of its original stunning Tudor features, and each historic room hosted a different volunteering project, contrasting Ipswich past with Ipswich present. 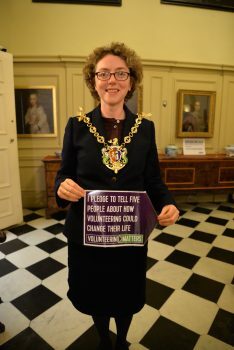 Six projects were represented with over 80 people coming to find out about our work, including High Sheriff Geoffrey Probert, Mayor Sarah Barber, and Sandy Martin MP. During the evening there was a chance to talk to volunteers and beneficiaries, and there were tours being conducted by our fantastic Grandmentors volunteers, who gave their time to share their experiences. Christchurch Mansion were even kind enough to let us borrow their fancy dress box to take some photos ‘Through the Looking Glass’. It’s not often you get your local Councillors in a fancy dress hat! We’d like to say a special thanks to everyone who gave their time and energy to make ‘Ipswich Through the Looking Glass’ happen, including sponsors of the event: East of England Co Op, Quatreus, Pavis Architects, Friends of Ipswich Museums, and Ipswich Borough Council, Damian Etherington and Carrie Willis.